per day (£12.50 per week). Parents can view, order and pay for school meals via LUNCHSHOP. 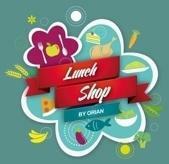 Please visit www.lunchshop.co.uk or call into the school office for further information. Children in KS1 are entitled to a free school meal - but please still order meals via Lunchshop. Free School Meal forms are available from the school office.